The NiSi Professional Lens Cleaning Blower is one of the best cleaning accessories you can toss in..
Tekućina za mokro čišćenje. Adekvatno za čišćenje svih senzora! Nova formula! Eclipse opti.. The fight against dust shadows on your images does not end at the sensor alone. Throughout the chamb..
Najefikasnje poznato sredstvo za suho čišćenje senzora. Idealno za putovanja i lagano otprašivanje s.. Visible Dust Arctic Butterfly® najefikasniji elektrostatički kist za suho čišćenje senzora. Ide.. The Ultra MXD-100 "Green" Corner Swabs from Visible Dust have been tailored specifically to remove d..
Set za mokro čišćenje full frame senzora 16mm (1.6x)Set se sastoji od: 5 kom MXD-100 zelenih V-špaht..
Set za mokro čišćenje full frame senzora 24mm (1.0x)Set se sastoji od: 5 kom MXD-100 zelenih V-špaht..
Set za mokro čišćenje full frame senzora 16mm (1.6x)Set se sastoji od: 5 kom MXD-100 zelenih V-š..
Set za mokro čišćenje full frame senzora 24mm (1.0x)Set se sastoji od: 5 kom MXD-100 zelenih V-š.. The Visible Dust HDF Sensor Brush is an extra replacement head for the Arctic Butterfly - .. Specifically formulated to be used in conjunction with any brush with SCF technology, whether it is .. 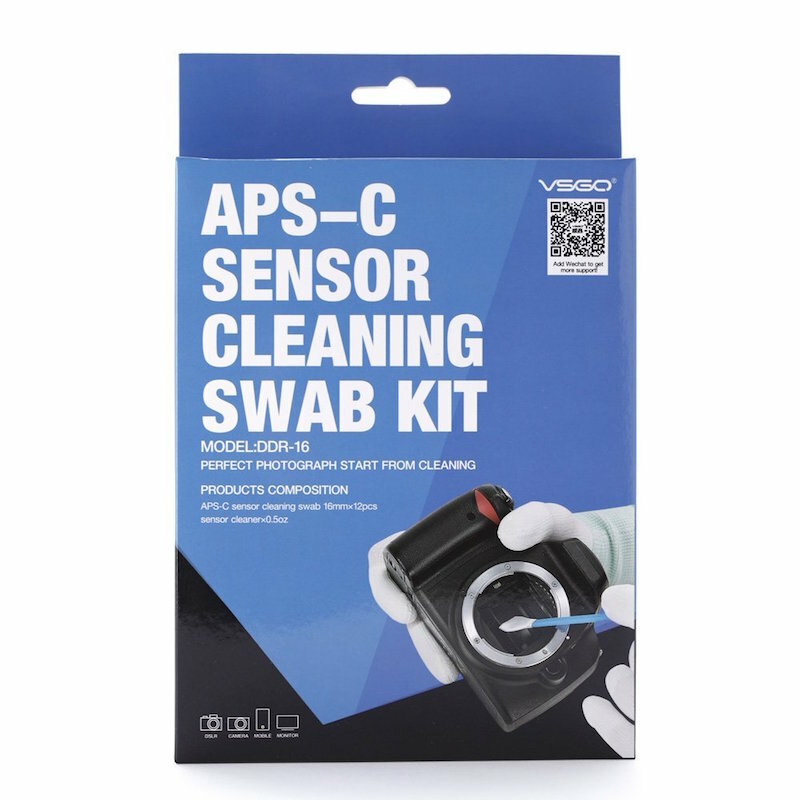 The Smear Away Solution from Visible Dust is used to remove the toughest stains and smears from sens.. Helping to a clean a variety of stains from your image sensor, this 8 ml bottle of VDust Plus Form.. These VisibleDust VSwabs 1.0x, with their unique fabric folding system, are specially tailored for..